The graph of function f is shown in brown. The graph of function g is shown in purple. Move the BIG WHITE POINTS on g's graph so that g undoes what f does to ANY INPUT. 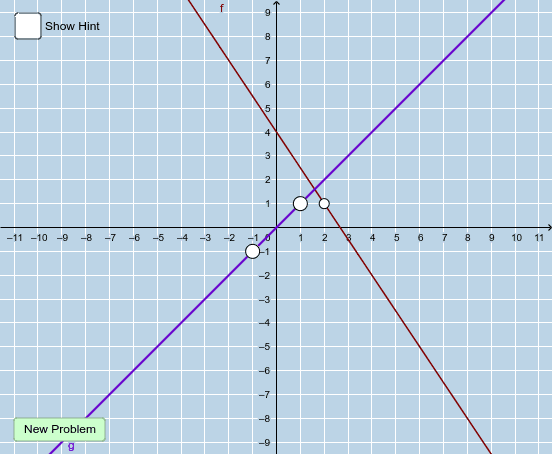 If you graph function g correctly, the applet will indicate this.